Take advantage of the warm Summer weather and enjoy a fun-filled evening out at the Anaheim Night Market this Saturday, June 20th from 6pm to 10pm at the always-trendy Anaheim Packing District. Expect: local crafts and artisans, art, live music, great food and a free movie in the evening! Starting at 6pm enjoy live music from Sandro Razciel & Co. Then, at 8pm, get cozy and catch the classic "Back to the Future" for free on the park. Bring some fold up chairs and some blankets! 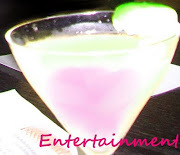 You can also enter to win a Yelp! Prize Pack simply by checking-in at the event on the Yelp! app. Summer is here and Fashion Island is getting in the spirit with an afternoon full of fun activities and shopping discounts for their carnival-themed Paseo Party. 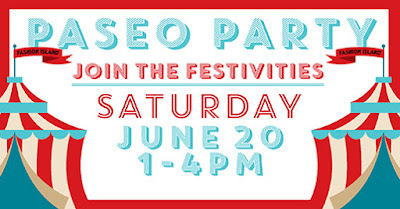 It's all going down Saturday, June 20th from 1pm to 4pm at Newport Beach's Fashion Island. Also, enter to win a $200 gift card by snapping and sharing a photo at the photo booth. Find out more at the event! Other news from Fashion Island: Sushi Roku is now open! Find out what all the buzz is about here. 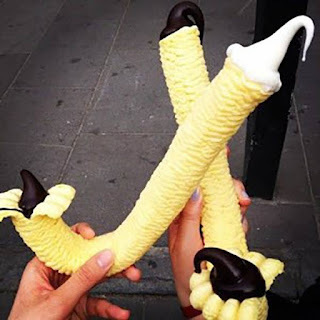 Have a sunny fun time and happy Summer! 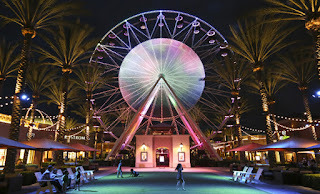 The Irvine Spectrum Center's Giant Wheel has re-opened and it's better than ever with all new LED light displays, fresh paint and free rides (this weekend only)! Ya heard right... FREE rides on the ferris wheel at Spectrum all weekend starting today, Friday, June 12th through Sunday, June 14th. Bring your family or a hot date and have a fun time taking in the spectacular views. Also, you can use your Instagram account to snap a picture of the Giant Wheel this weekend and enter to win a $100 gift card! Be sure to tag @irvinespectrumcenter and use the #SpectrumGiantWheel hashtag! More details on the contest can be found here. 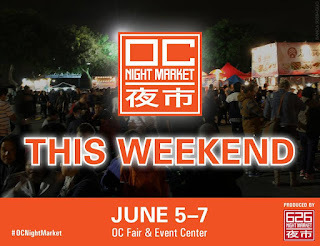 The OC Night Market's last few nights are upon us. Tonight, Saturday, June 6th (4pm to 12am) and Sunday, June 7th (4pm to 10pm) are the last evenings to enjoy the festivities at the OC Fair and Event Center in Costa Mesa. Bring some cash and enjoy an exciting assortment of Asian food from local restaurants, entertainment and shopping. 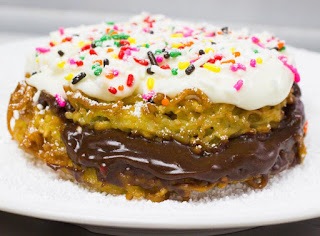 RAMNUT Ramen Donut... yeah, it's a thing... from Foodbeast. 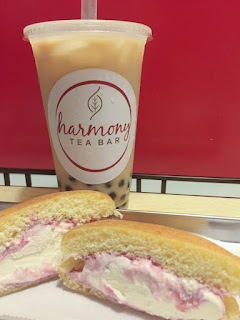 Organic caramel milk tea with boba and an ice cream donut from Harmony Tea Bar. 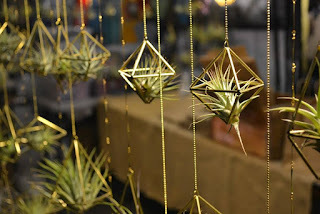 Hanging geometric air plant ornaments. 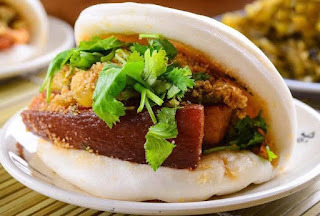 Pork belly bun from Lee's Taiwanese Cuisine. 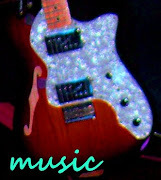 Musician Joseph Vincent is performing Saturday night at 9pm. Here's a music video to illustrate his talents! Can't make it this weekend? Visit the other night markets put on by 626 Night Market at Santa Anita Park. More details on future events can be found at 626nightmarket.com.